a also Want to invest in bitcoins? So within my first 3 weeks of investing in bitcoins and other cryptocurrency, my portfolio was up by 120%+. Was it mere luck or is there a strategy behind it? Well, the first thing I want you to know it that my return on investment means nothing to you. Over the next several weeks, or months or years, YOU and I are going to have lots of fun. All you have to do is come back and check this page from time to time. I have not been this excited about a new thing in a long time. At press time which is about 18 hours from the time I did the live session above, my portfolio is now up 120%. I know that’s UNREAL but please realize that a lot of opportunity will be missed but also… SADLY… lots of people will lose lots of money. 3. High market Cap with high volume coins only. 4. % growth is the only number that matters. 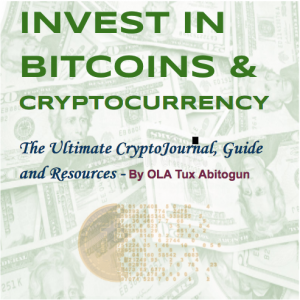 I want to give yo the list first because you will find it handy as we analyze the bitcoins and cryptocurrency market together daily. You can take my rule and spin it into your own unique rule that work for you. The bitcoins and cryptocurrency market is very volatile. It’s dangerous if you do not have a set of rules. But I predicting that this is MASSIVE lucrative if you have a strategy and a plan. There are lots of strategy you can use to make money when investing in an investment vehicle such as stock, future contracts and cryptocurrency. When I started buying cryptos with a friend, he had a strategy in mind. He want to to put a lump sum in bitcoins and watch it generate profit by capitalizing of the bubble. Then he would pull out his principal investment according to his plan and then hold his profits in as the new principal. That way, he ultimately did not really invest a dime but he would be collecting free returns over time from re-investing the profit. In theory this should work provided he has the discipline to stick to the plan in real life. Here is the problem with that plan for most people. That plan will leave a vulnerability in most human beings. We are all emotional beings. If controlling our emotions was that simple, we will all be rich. More importantly, no one has the ability to predict the moves of the charts 100% accurately all the time. imagine if the coin tanked in value just after dumping the lump sum. Most people would panic and sell. In the first place, lump sum is relative. So we call it lump sum when you as an individual cannot afford to have that money evaporate to $0 completely. I have a friend who invested $19,000 just a few months ago just before the value tanked. He panicked like most human beings and sold his position at a loss of about $500. Then the value took off and rallied up about $8,000. In hind sight, you would say he should have stay in and his money would have doubled now. Well, it’s easier said than done. If that was my strategy, I would have ‘wussied’ out of that position too. That’s why I recommend only investing money you can afford to lose and no more than that at any particular time. But in order to engineer discipline into your plan and strategy, I recommend the dollar cost averaging strategy. By using this strategy, it’s automatically always the right time and price to buy if your fundamental analysis of the underlying asset is saying to buy. The only exception to this rule is if you have taken the time to learn how to trade with technical analysis. Even at that, discipline from strategy and a plan is a must. When you are looking at the charts of an asset value movement, you are exposed to quite a few choices. You can see from 1 hour to lifetime essentially. In the spirit of overall analysis, it’s okay to look at what it may be doing or how it’s moving within an hour, a day, a week or a month. I recommend that the ultimate buying or selling decision should never come from outside the 1 year chart. In my opinion, the short term movements should have a minimum effect on how you feel about any assets you choose to invest in. Listening, I’m never going to claim that I know everything about trading and investment. There is a very simple reason for that. I don’t. But I do know one thing. My 24 hours in a day and my limited resources will never be enough to accomplish what I want to accomplish which includes building a multi-million dollar portfolio in crypto currency. Because of that, I’ve decided to focus on the high market and high volume cryptocurrency only. There are lots of low volume ICOs and coins out now and more is coming. In total, coinmarketcap.com lists 1,345 cryptocurrency the last time I checked. They can been quite tempting to throw money in since many of them cost 1 cents or less per coin. I approach you with my new ICO (initial coin offering) and it costs you 3 cents per coin. And then I sold you on the new technology or our new blockchain developer with a progression chart to $20 per coin within the next 6 months. That’s mad attractive right? That’s exactly what my rule is telling me to stay away from and you should too. Leverage what the market is already telling you with the market cap size and volume. This is this simple for me. If Coinbase as an exchange, which is FDCI insured up to $250,000, supports the coin at this early stage, it’s probably good enough to diversify my portfolio into it. 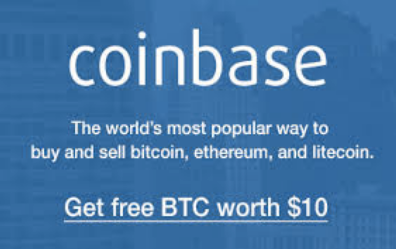 At press time, Coinbase supports the top 3 market cap and volume which is Bitcoin, Litecoin and Ethereum. I am diversified equally into all 3 and I did that even before I learned what those coins and the technology behind them are individually. I simply leverage the market’s and Coinbase’ trust in the top cryptocurrency. There is news already that Bitcoin Cash will be supported soon by Coinbase. I will be all over it then. High market cap and volume simple means the mass trusts the technology. It’s trendy. Swim with the trend. Swimming against the trend is essentially shooting yourself on the legs; especially in the long run. Rule #4 of Investing in Bitcoins and CryptoCurrency: % growth is the only number that matters. When it come to building wealth, the only type of number that matter when measuring growth are percentages. These numbers have respect for the present underlying value at any point in time. A $25 move on bitcoin while it’s trading at $18,000 per coin is not as impressive as a $25 move on litecoin while it’s trading at $315 per coin. In the last year at press time, bitcoin has only moved at 2,000% while litecoin and ethereum has moved at over 8,000%. Most people are stuck on looking at the $18,000 per coin while in fact, investing in litecoin and ethereum would have had your investment grow at more than 4 times fast than all of it being in bitcoins alone. Th solution here is not to dump all you investment in litecoin. The solution is to diversify across a few 3 -5 high market cap and high volume cryptocurrency. It’s very tempting to day trade and short play this market because of the big swings. However the big swing is the exact reason why you should take your money as far away from this as possible until you understand the fundamental value in cryptocurrency. If the fundamental knowledge you acquire about this new technology does not tell you that it will change how we spend money and exchange value in the next 10-20 years, you should consider all of these pure gambling. You are better off in Vegas. For me, I know that cryptocurrency and the blockchain technology is here to stay for a long time, therefore I am investing by buying and holding for 5 – 10 years minimum. I recommend that you do the same. The values are going to swing at extreme volatility. But because you understand this rule, you will stick it all the way through. Even if it tanks first before it takes off with it’s true market value, you can simply watch gamblers sell off and stay out from loss of their confidence as the technology build it’s true value to $100,000 per coin. That’s my prediction. I don’t know which of the coin will hit $100,000 but one of the high market cap coins will hit $100,000 per coin. I think this should be self explanatory but I won’t speculate here. That’s exactly what I saying. I am not speculating with my cryptocurrency investment either. I’m only investing money that I could lose and cry for more than an hour over it. Is it possible for me to miss out on big moves in the market? Sure. But I refuse to miss out on building steady wealth on a strong foundation and not gambling. Just because it sounds good on the surface that bitcoins and cryptocurrency has grown in value by thousands percent is not a good reason to dump your life savings into it. That’s why you see that Rule #1 is almost the same thing as Rule #1. A few days ago, one of the chairmen of Government agency came out and said people are mortgaging their houses to buy bitcoins. Even if you dump your $100,000 401K into this and then can out next month with a net profit of $80,000, you still lost money. You are going to want to do it again. Then one bad move will destroy your confidence which is the only currency that matters overall. Then you will truly miss out of this new opportunity because you will leave the market for good; either by losing all your money or by losing confidence. Invest weekly dispensable and disposable money only in cryptocurrency using the dollar cost averaging strategy and sit on it for 5-10 years minimum. That’s what I am doing. It’s true that you can make a killing overnight from low volume brand new ICOs. What are ICOs? It stands for initial coin offering. Cryptocurrency are introduced to the world as ICOs. Also, there are many penny cryptos as I call them. Some of they are valued at 1 cents per coin and it seems very attractive to buy a ton of them. Again, it’s true that you will 10X your money if that 1 cent ICO goes up to 10 cents all of a sudden. Isn’t that attractive? It encourages the gambling spirit. A lot of low market cap, low volume cryptocurrency do not have enough information and data to analyze their true value. Majority of them will shut doors eventually and that puts my investment in a position of requiring luck. We all can use some luck but I don’t operate my wealth building on the fuel of luck and hope and I encourage you to follow the same rule. Should I Invest in Bitcoins and Should You Invest in Bitcoins? What About Other Cryptocurrency? This is by far the number question that people have asked in the past few weeks. To be honest, I ask myself that question as well. Every cash in dollars you put in your pocket in the morning is devalued a little by the end of the evening. Why? Well, the FEDs, Federal Reserve or what other countries call the Central Bank has the authority to print more of the money in order to offset a potential economy downfall of a nation. How does that help an average individual? If I go by what happened since 2008 recession, it doesn’t help by much. What I can tell you is that it help United States stay afloat while many individual lost half or more of their net worth. Cryptocurrency is a direct solution to that problem because it actually increase in value for many reasons beyond the fact that inflation is not in the equation. As for Bitcoins, there is a limit of 21,000,000 (21 million) to its supply. That’s the way the technology is designed to function. According to wikipedia, it’s the increasing interaction of people, states, or countries through the growth of the international flow of money, ideas, and culture. 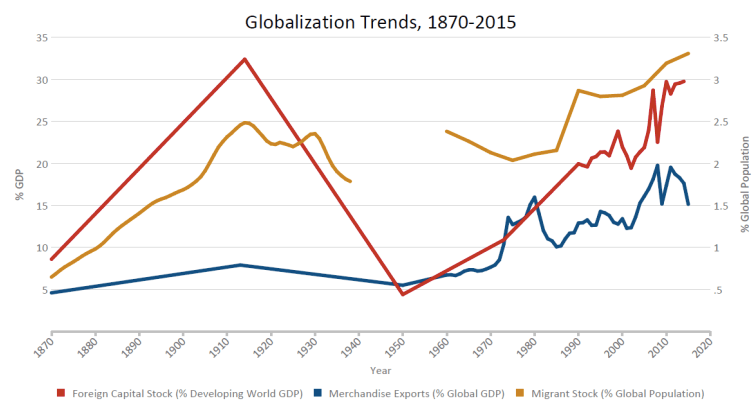 Take a close look at attempts by political and hateful forces to try to stop globalization in the past 150 years. How is that working out? The only reason I can attach to the slowdown between 1920 and 1950 is hate, politics and lack of technology such as social media. It’s truly a one world either we like it or not. If you understand charts, we are testing the last resistance against globalization which happened 1910 and 1920. This time around, it’s breaking out because culture and technology has evolved that much. Please share with me if you see something else here. They will keep failing because humans are naturally all about love and also, we are clearly growing more and more into a sharing economy. The evolution of technology is nothing new. At the very core of it, I call it leverage. We as the human race, find better, faster, simpler and easier ways to get things done. We are obsessed with that characteristic and no one, not even ourselves can stop the continuous and growing speed of new technology emergence. YOU and I will purchase stuff with cryptocurrency. It is what it is and in fact, it’s already the reality. You can avoid reality. You cannot avoid the consequences of avoiding reality. The only difference between most of the money you spend today in dollars or your local currency and cryptocurrency is the fact that the cryptocurrency is decentralized and not controlled by the Government via Central Banks. That’s the 3rd major reason why I am going all in with investing in bitcoins; more importantly with other cryptocurrency. Should you invest in bitcoins and cryptocurrency? Honestly, that’s up to you. 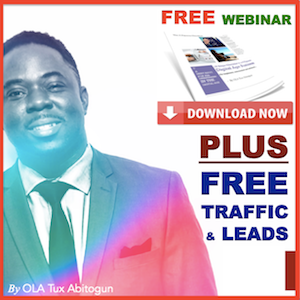 My goal is to equip you with the resources and information you need to make a well informed decision on this page. More questions that will be answered on this page. This entry was posted in Bitcoins & Cryptocurrency and tagged bitcoins, bitcoins purchase, cryptocurrency, earn bitcoins for free, earn bitcoins free, get bitcoins free, how can i invest in bitcoins, how do i invest in bitcoins, how do you buy bitcoins, how to invest bitcoins, how to invest in bitcoins stock, how to invest my bitcoins, how to invest your bitcoins, invest bitcoins, local bitcoins, purchase bitcoins, sell for bitcoins, should i invest in bitcoins, should i invest in bitcoins now, should you invest in bitcoins, what are bitcoins, what is bitcoins, where buy bitcoins, where can i buy bitcoins, where can i invest my bitcoins, where to invest bitcoins, where to invest my bitcoins, where to invest your bitcoins, who invest in bitcoins, why invest in bitcoins, why should i invest in bitcoins on December 12, 2017 by ol1234.